The Eschmann T30-M+ Operating Table System design draws its strengths from the distinctive features of the current T20 range. Enhanced by its versatility and modularity the T30 system is, in essence, two operating tables in one. 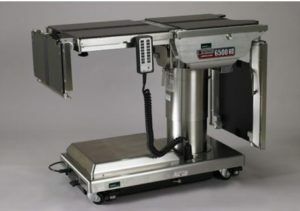 The T30M (shown) offers the same features as T30A except that T30M offers large casters allowing easy maneuverability with or without the patient on the table. Manual 3-point brake system mimics most popular trolley transfer systems. The design of the modular, interchangeable table top sections allows quick set up between cases and reduced manual handling. 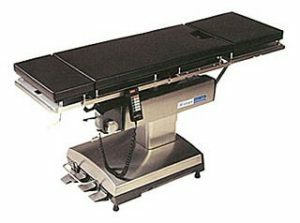 A range of 6 options designed to meet the most frequently used configurations and the ability to build a tailored system by selecting from a wide range of accessories, makes the Eschmann T30-M+ Operating Table the table of choice. The Eschmann Philosophy: Work closely with the people who matter the most – the surgical clinicians and operating theater professionals who use our world-class products. This close cooperation allows us to develop a range of operating tables featuring a host of benefits that consistently exceed the exacting demands required in today’s surgery center environment. 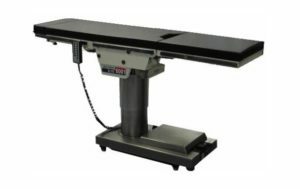 In Terms of quality and reliability, Eschmann operating tables are acknowledged as being second to none, the very best in medical engineering technology for over 100 years – our assurance for your complete confidence. 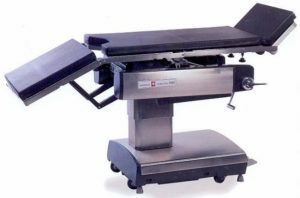 To learn more about the Eschmann T30-M+ operating table, please contact us today. See tabs for more information. 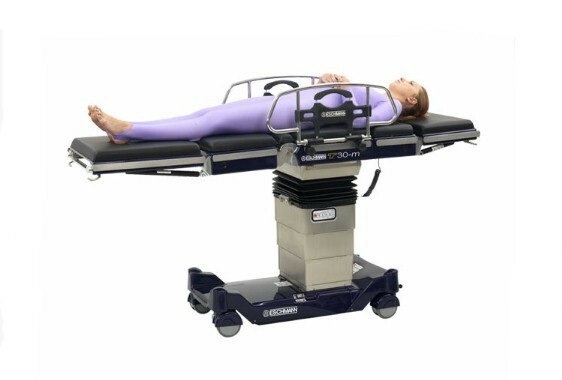 The patient’s legs are positioned safely and comfortably in the direct placement leg holders. Maximum patient weight 990 lbs.